How to assemble the CDB48 48" Chippendale bench. Parts. Hardware: (2) 1 3/4" bolts, (4) 1 3/4" screws, (5) 2 1/2" screws. Tools: 4mm T-handle hex key (included). 1. Begin by attaching the right side frame to the seating using (2) 1 3/4" screws, but don't tighten just yet. 2. Using two more 1 3/4" screws, attach the left-side frame to the seat. 3. Now attach the back to the side frames. Note that the polywood medallion is oriented towards the back of the bench. Fasten the metal tube at the top of the back piece to the side frames using (2) 1 3/4" bolts. 4. Use (2) 2 1/2" screws to secure the bottom of the back piece to the side frames. Attach the front of the seat to the side frames using (2) 2 1/2" screws. 5. Tighten bolts. Attach the middle of the back piece to the seat using (1) 2 1/2" screw. You may need to apply some pressure to the bottom of the seat in order to align the pre-drilled holes into the seat and back. Finally, fully tighten the screws from step 1 to finish this assembly. How to assemble the CDB48 48" chippendale bench. 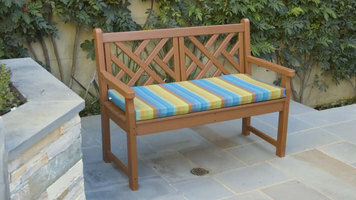 Durable and attractive, check out the Polywood chippendale bench! 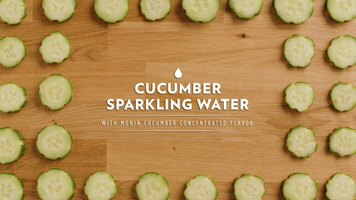 For the perfect summertime beverage, try cucumber sparkling water or cucumber mint sparkling water. These fast and easy recipes use Monin concentrated flavors to deliver a tasty, refreshing drink ideal for serving on the patio, by the pool, or at a special, catered event. 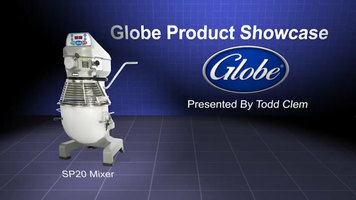 This short video highlights the unique benefits of the Globe SP20 20 qt. mixer, including all stainless steel tools, a convenient front-facing digital display, and spring-loaded bowl clamps that keep the bowl from rattling while mixing heavy items.